When Cynthia Keator, M.D., passes the Atrium, she can't help but feel that same sense of awe that Cook Children’s Medical Center gave her more than 20 years ago as a volunteer. Dr. Keator, who is a pediatric neurologist and epileptologist at Cook Children’s, began volunteering at Cook Children's at the age of 14 as a title holder with the Miss Texas Organization. Along with many of the other titleholders, she would perform her talent for patients in the atrium. Back then she performed ventriloquist routines. Then in 1998, through a senior internship program during her senior year at Trinity Valley School, she spent her spring semester with Hematology and Oncology at Cook Children’s. The department held a special place in her heart because her cousin battled cancer there. That stint with the doctors made such an impact on her that after completing her internship, she continued to volunteer at the medical center. As a volunteer, she tried to ask good questions and absorb as much knowledge as possible to prepare her for medical school. She learned the importance of listening to the patients and their families. She also saw science come to life. It wasn’t just about studying words in a book; it was seeing how medicine and medical care actually worked. 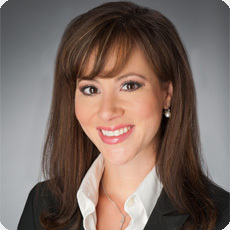 Dr. Keator has dedicated her career to the field of pediatric epilepsy, in part because there is always something new to learn, and especially because great strides are constantly being made in the medical treatments available to kids who are diagnosed with this condition. These advances make profound differences in the lives of children and their families. On a daily basis Dr. Keator witnesses children outgrow the condition, go into remission or find effective treatment. Today, she is proud to doctor at Cook Children's and an integral part of a neurology team that is making such huge difference in the lives of children. Her study of pediatric epilepsy and dedication to those who have it extends well beyond one-on-one interaction with patients. Dr. Keator is active in the Epilepsy Foundation of Texas, a program that offers children statewide support and education, and even provides summer camps for children with epilepsy. All children want to be physically active and that is a common ground she shares with patients. Having spent her residency in Colorado she has become an avid skier with Copper Mountain being a favorite. 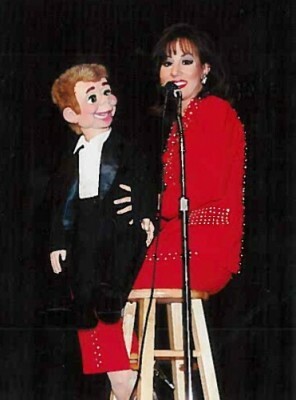 Dr. Keator holds another unique distinction: she competed in the Miss America Pageant, and while she could have played the piano for her talent portion of the competition, she chose instead to perform a ventriloquist act. She is married and has two dogs, has a lot of energy and is definitely a morning person. Dr Keator what a pleasure it is to see you accomplishing your goal in life. I always knew you would accomplish whatever goal you had set out to accomplish. And what an example you have set for my grand daughters and the goals they have set. God bless you as you continue. What a pleasure to read about you and all of your accomplishments! Bravo!